Sarah Nader - snader@shawmedia.com Executive chef Mat Lucas (left) and owner Greg Geigel stand in front on their new restaurant, Bold American Fare, in Algonquin Tuesday, May 30, 2017. 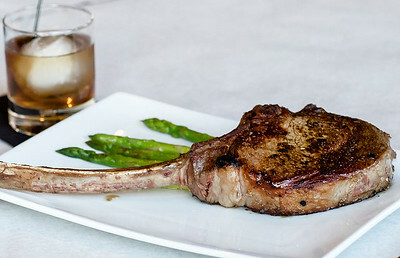 Sarah Nader - snader@shawmedia.com A view of the tomahawk steak with a side of asparagus offered Bold American Fare in Algonquin. The restaurant had a soft opening last Wednesday and is planning a grand opening in the next couple of weeks. Sarah Nader - snader@shawmedia.com A view of the lobster pot pie offered Bold American Fare in Algonquin. 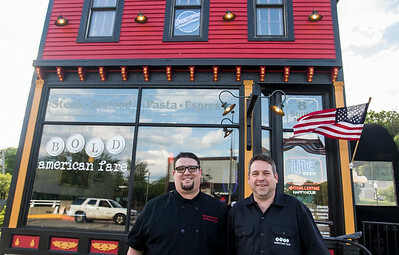 The restaurant had a soft opening last Wednesday and is planning a grand opening in the next couple of weeks. 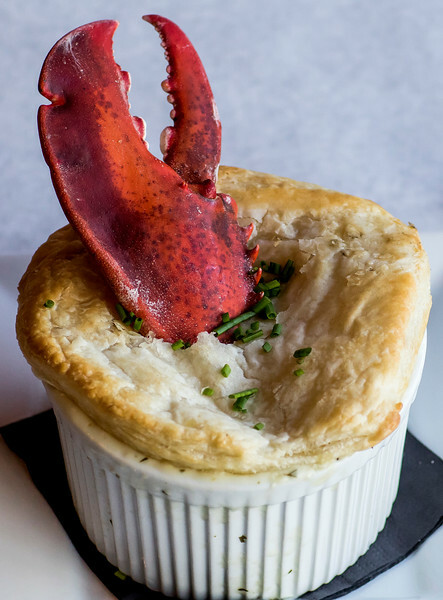 A view of the lobster pot pie offered Bold American Fare in Algonquin. The restaurant had a soft opening last Wednesday and is planning a grand opening in the next couple of weeks.